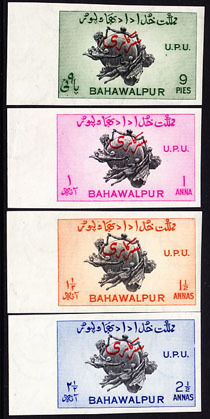 17763 ND BAHAWALPUR (1949) UPU emblem. Set of 4 imperforates. Scott Nos 26-9. 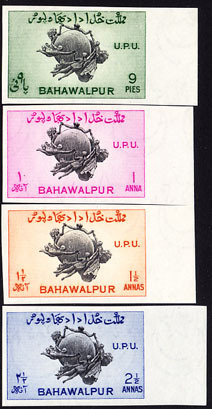 17767 ND BAHAWALPUR (1949) UPU emblem. Set of 4 imperforates overprinted for official use. Scott Nos O25-8.